Luvvie Ajayi is beyond a triple threat. Dubbed the ‘Olivia Pope of Social Media’ by a friend, Ajayi is a veteran blogger, digital strategist, social media star, philanthropist and honestly, an all-around hoot. With 11 years of blogging under her belt and a combined following on Twitter and Facebook that exceeds 100K users, Ajayi is certainly a digital ninja, a social media samurai. She is best known for Awesomely Luvvie, where she blogs on pop culture, TV, movies and even the merits of Starburst flavors. She launched sister blog Awesomely Techie in April, offering tips on social media and blogging as well as reviews of gadgets and apps, leveraging her experience as a teacher, speaker and consultant in the space. While Ajayi’s schedule and self-made brand indubitably demand hard work and dedication, she took a few minutes to discuss digital strategy, marketing, branding, blogging and social media. 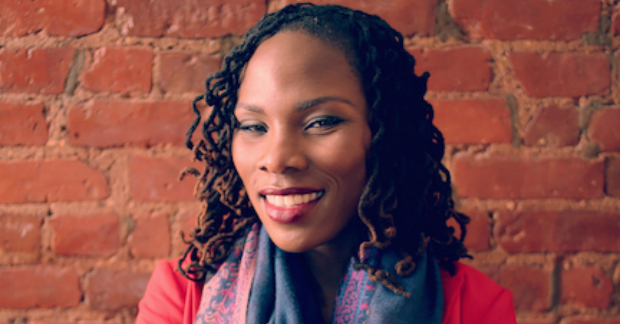 Follow Luvvie Ajayi at @luvvie or @iLuvvit, visit both Awesomely Luvvie and Awesomely Techie, or check out her consulting work in social media and digital strategy on Luvvie.org.